Growing up in Israel, between political conflict, religious strife and the desire to shape one’s own future, is stressful for young people. 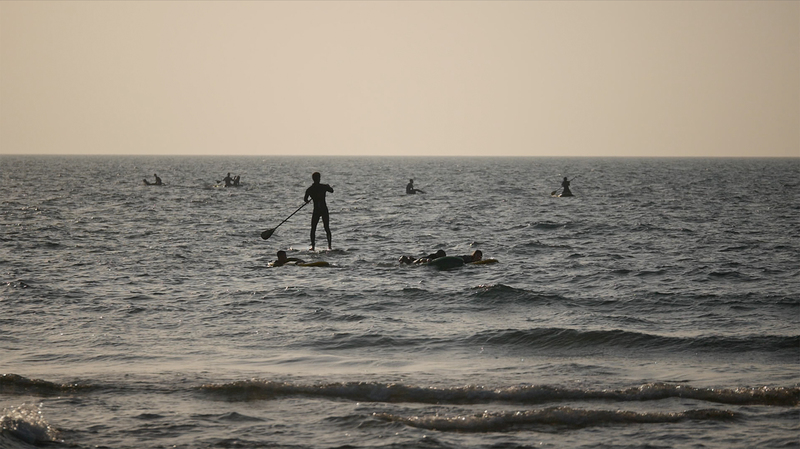 But in the independent surfing school HaGal Sheli (Tel Aviv, Bat Yam), teenagers learn to integrate socially regardless of their religion. The school conveys general educational values next to sports related ones. In her movie “HaGal Sheli – Surfing the wave of freedom” Sjanca Oppliger documents the way the school, like a second home in a chosen family, supports the kids in re-establishing their way of life. They learn to master challenging situations, overcome personal conflicts and take social responsibility. Thus, surfing together triggers processes of personal liberation and creating peace.